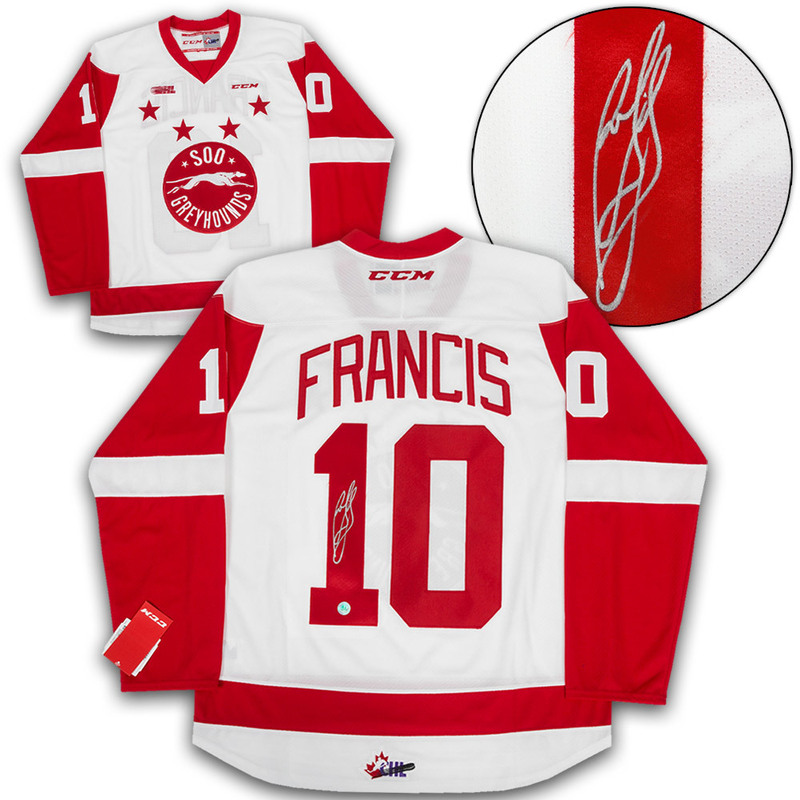 This jersey has been hand signed by Ron Francis. A.J. Sports World guarantees this autograph with a Certificate of Authenticity and tamper resistant hologram from A.J. Sports World. AJ Sports World is proud to partner with CHL auctions to offer the best autographed memorabilia in the hockey world. Established in 1991, A.J. Sports has been an industry leader in the sports collectible market for more than 20 years. A.J. Sports holds numerous athlete signing events, and maintains exclusive relationships with past CHL players like Mitch Marner, Sam Bennett, Ryan Johansen, Leon Draisaitl, Steve Yzerman & Jarome Iginla just to name a few. With our experience, unique selection, strong record of customer service and convenient Toronto based retail store, A.J. Sports World is unmatched as the best source for any hockey collector. Customers are required to register with a credit card in order to bid. A valid credit card is required to bid, the credit card on file will only be charged automatically upon winning an auction. Please note: Upon entering your credit card information, a validation of $4 will be entered on your credit card. This amount will only be a temporary authorization for approximately 7 days, and it will be released thereafter. It is used for the validation process and fraud protection only.